Easter is almost here and just before launch into the long weekend, we want to trouble-shoot some important questions you may have over the break. 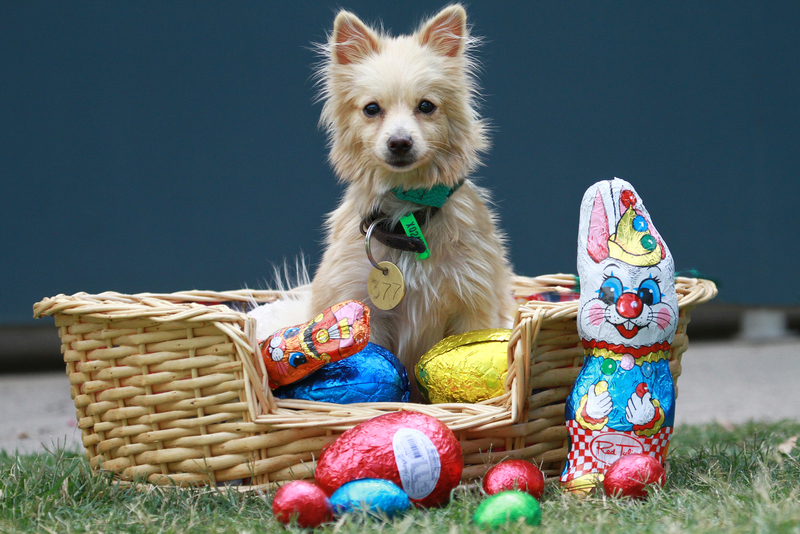 Can I adopt this Easter long weekend? We are open most days and would love to help you find your perfect match! What should I do if I have lost my pet? • Call your local councils, animal shelter and vet clinics. All councils operate outside normal business hours and should be contacted even if it is a weekend or public holiday. •Be informed of your shelters operating hours and visit or call them immediately on opening. • Search your home, garden and neighbourhood. • Stick up flyers and posters, do a letter-box drop. • Post on online lost pet forums. • Update your details on your pet’s microchip and collar tag. If you are unsure which microchip registry your pet is on, please call our 24/7 identification service National Pet Register on 1300 REG PET. What should I do if I have found a lost cat or dog? • Please be cautious when approaching strange animals. A lost animal may be afraid and attack, so if you are unsure, leave any contact to professional animal control officers. • If the animal is friendly, please contain it as soon as possible with a lead or on your property, this will ensure it is safe from traffic or any other dangers. • Once it is contained you may want to check its collar for an identification tag and/or contact your local council. Please remember that all councils operate outside normal business hours and should be contacted even if it is a weekend or public holiday. I need a vet to urgently see my pet outside of clinic operating hours? • If you need a vet urgently outside of our operating hours, you can contact the Animal Accident and Emergency Centre on (03) 9379 0700 for the Essendon centre and (03) 8368 7400 for the Point Cook centre. • If you live outside of Melbourne, please contact your nearest animal hospital. I am travelling with my pet this weekend. How should I prepare? Holidaying with the whole family, including your pets, can be a whole lot of fun. It does however, require a lot of prep so please take the time to read our article on planning a holiday with your pet. My pet is having a ‘stay’cation this year. How should I prepare? We cannot always take our beloved pets with us on our travels, so see what you need to do in order to make their ‘stay’-cation just as pleasurable as your holiday. What potential Easter hazards should I look out for? – Avoid feeding your pet scraps from the table and definitely make sure they stay clear of grapes, macadamias, onion and garlic. – Chocolate contains caffeine and theobromine, which, if ingested can lead to an increased heart rate or irregular heartbeat. These can be potentially fatal, so it’s best to keep your cherished chocolate well out of your dog’s reach. – Early clinical signs include vomiting, diarrhoea and trembling.